Teresa Chinn: Agent of Change and Ninja?? I have often heard the phrase “agent of change” especially of late with the upcoming NHS Change Day on 13.3.13 but it has never been a phrase that I have applied to myself. Agent of change to me conjures up all sorts of ninja style aggressive fighters that bravely storm the castle fighting the good fight …. This is not me! 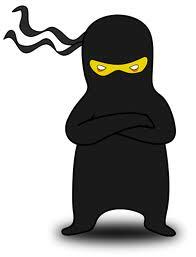 Anyone who meets me soon realises I am not a ninja!! The work that I have done using social media to bring nurses together to connect, share and support has not been fuelled by the desire to be an agent of change but rather in response to the problem of an increasingly disconnected and unsupported nursing population (of which I was one of). 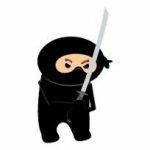 Using social media I have been able to think differently and facilitate nurses to come together and form a community … there’s nothing ninja about that! In fact to me it’s all about thinking differently to resolve the challenges that we are faced with. However this week I took part in a very inspiring webinar “How to rock the boat and stay in it!” presented by Helen Bevan that caused me to reflect. 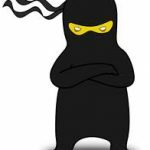 In this webinar Helen was talking about change, being an agent of change and standing up and rocking the boat…..
My initial thoughts were if I am not a Ninja I am almost certainly not a boat rocker! But as the webinar progressed I started to see Helens point of view and make connections about what she was saying to my own journey. Helen talked about how boat rockers can be laughed at and become isolated within organisations being seen as trouble or difficult. Whilst I am pretty sure I have never been seen as trouble, I certainly remember people laughing at the idea of nurses communicating in a valuable and professional way using social media early on in my journey. This in turn did make me feel quite isolated however I was very lucky as I had some determination fuelled by my own individual need and in addition to this I gathered some wonderful support that kept me going regardless. At the start of my journey I felt that something needed to be done as I realised that nurses were no longer connected to each other in a valuable way on a professional basis and I hoped that through taking action and stepping up to the mark I could make a small difference. Through my journey I have had a strong sense that nurses who are able to support each other, learn from each other and share ideas and experiences can feel empowered and confident and become better nurses – in essence a happy, supported and well informed nurse gives good care. In addition to this I have always had the small goals in mind and that helps me to override negativity. I firmly believe that a difference made on an individual level is always important; two nurses connecting, sharing and supporting is worthwhile because it makes a difference to those two nurses which in turn has a ripple effect on their colleagues and their patients – I am living breathing testament to this and these days when someone laughs about tweeting nurses it is the impact on individuals and the ripple that has that keeps me going. Although looking back there are times when I have felt isolated and shunned, like the mad woman locked in the attic, I have always had the support of like-minded people who have been locked in with me! Today seeing the impact that WeNurses is having on the nursing community is the most wonderful thing and knowing that came about from an individual need and in turn my one small action gives me a very warm feeling indeed. 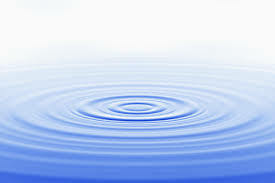 I may not see myself as a ninja-esque agent of change dashing in to join the storming of the castle but I have dared to think differently and drawn a circle that is drawing in people individual by individual, nurse by nurse and as our circle creates ripples those ripples are making impact and rocking the boat. 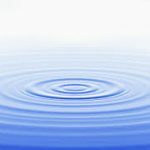 I would encourage all those around me (whether you see yourself as a boat rocker, an agent of change or a ninja) this NHS Change Day to dare to think differently …and if the ripples you make have an impact on just one person then you will have succeeded. Joining twitter has reassured me that there are other nurses out there with the same passion for nursing. Dont get me wrong I am surrounded by caring compassionate nurses who want to do their best whilst at work but their interest in the job stops at the hospital doors. I am encouraging my colleagues and guiding them to social media and other sites. Social media; for me ignites my interest, I am inquisitive (friends say nosey) but if I don’t go and search for it I wont find it, with tweeting Im finding ‘it’ and more !! Hi Marsha, That’s wonderful to hear and I agree with you there are some passionate and dedicated nurses on Twitter that are sharing and showing their passion with others and its fabulous to see. Hi Teresa, you passion & commitment to nursing & connecting with people is contagious & this is reflected in the #nursecommunity following that you have. You were one of the first that I connected with on twitter when I started & I am so pleased we did. Having met you in person now, you are more than you are on twitter, a warm, creative, intelligent lady with a fabulous personality. A change agent & ninja I would say!! Another brilliant piece of narrative too! Hi Teresa. I was thrilled to see your blog.You are an exceptional leader of change. Being a change agent doesn’t always mean starting from an existing situation and having to take on the status quo to make things better for patients. It can also mean being a visionary, seeing a way forward before others see it, and having the courage to make that future happen. You have done that so well in the context of social media. You have created a voice and opportunity to organise for so many nurses, beyond hierarchy and exisiting power systems. You are a role model for so many people, including me. Hello Helen, Thank you for your really lovely comment I am very pleased I was able to listen in to your webinar as it inspired me to take time to reflect as sometimes we need to look at what we have achieved to give us the courage to keep moving forward. and to share our stories with others. Teresa thankyou for an insightful blog and one I can totally resonate with as probably a fellow ninja, boat rocker and visionary. The AHP Directors in Scotland are striving to act as a major catalyst to change what and how we deliver care across health & social care integration agenda. Our national delivery plan cites AHPs as agents of change and many of us are only to ready to deliver. Thankyou and keep up thinking differently. Finally got round to reading this and so glad I did. You are a great role model Tree. You are one of those people who quietly but purposefully get on with it. Keep going, that boat needs rocking! Great blog! Thank you Lynne for your comment, lovely to meet a fellow probable ninja ! I am glad that my blog has resonated with you and keep rocking the boat. I think the ‘agent of change,’ ‘ninja’ or of ‘boat-rocker’ is simply a person with a different need, maybe a want, but predominantly a need. 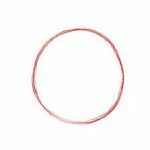 Needs are the fuel to keep engaging, searching, changing and developing and so the circles need to keep being re-drawn. The poem and the circle is a lovely visual for impermanence. Thank you.